If I could be a painter, I'd paint like this, dreamy, abstract, colorful... until then it's Alien Skin Snap Art! 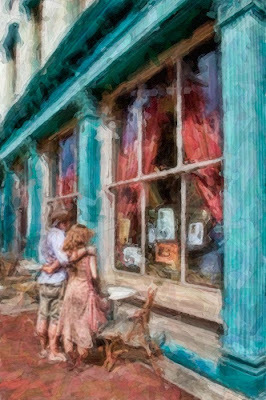 This Photoshop plug-in has an impressive collection of filters that create painterly and artistic effects for your photographs. 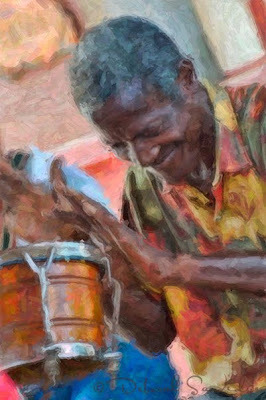 The drummer above, and the couple below were enhanced using the Watercolor filter. Within Snap Art, there are 10 filters, Color Pencil, Comics, Impasto, Oil Paint, Pastel, Pen and Ink, Pencil Sketch, Pointillism, Stylize and Watercolor. 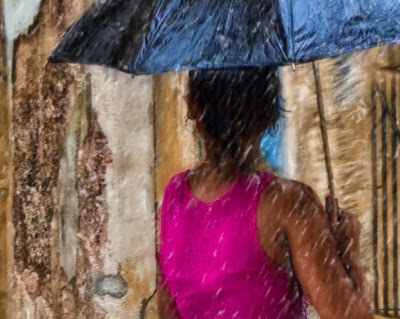 Some of the students in my BetterPhoto course, Photoshop - Enhancing Images and Creating Works of Art have made stunning images using the various features in Snap Art. It's a lot of fun to see how each person interprets working with the filters and their photos, and how creative everyone is! (You can still sign up, a few spots left)! One of my favorite filters in Snap Art is Stylize. 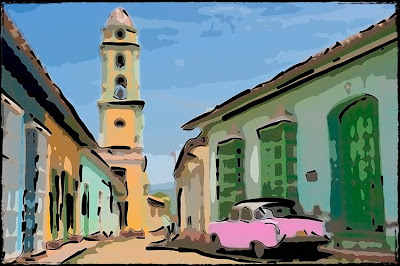 You can create a poster effect like the photo below of Trinidad, Cuba. I painted the car pink just because! Last but not least is Comics. I like using Comics with all kinds of photos, from portraits to graffiti. 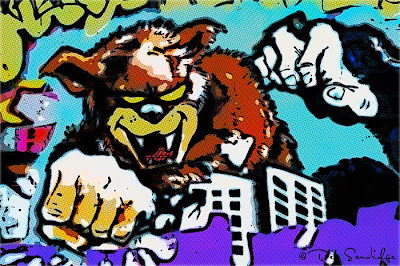 The photo below is from a graffiti wall in progress, based on an Atari game and mixed with the city of Orlando. Try Snap Art! You can use code deb0902 for anything Alien Skin.